However, after she had a chance to play the games, my status as the award’s front-runner is in the bag. She thinks they are coolest games ever. 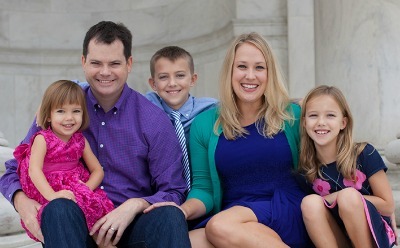 Would you like to win a HSMA in your household too? Are you still in need of a holiday gift or stocking stuffer? Then check out Tomodachi Life and Animal Crossing™: New Leaf. My kids have always loved creating Mii characters on our family Nintendo devices. Eve and Charlie can spend hours finessing characters to look like their family members and friends. Now kids can take their Mii-love to the next level by creating a world for them! You can import Miis already on your Nintendo 3DS or 3DSXL or create new ones. In Tomodachi Life, Mii characters live on an island and each posses their own distinct personalities. Game players care for them, serving as the God of the world, it seems, and introduce them to into crazy fun scenarios. There are platonic friendships and benign romance, rock concerts and amusement park rides. The neatest difference, I found, was how the game provides quirky personalities for each player. This is a kid-friendly entry-level life simulation game for kids. Eve liked choosing interesting international foods to feed her various characters (she loves how you can look in the Miis’ bellies to see if they are hungry or what they just ate) dressing and shopping for the characters. The game feels kooky and surreal, silly and low-pressure. 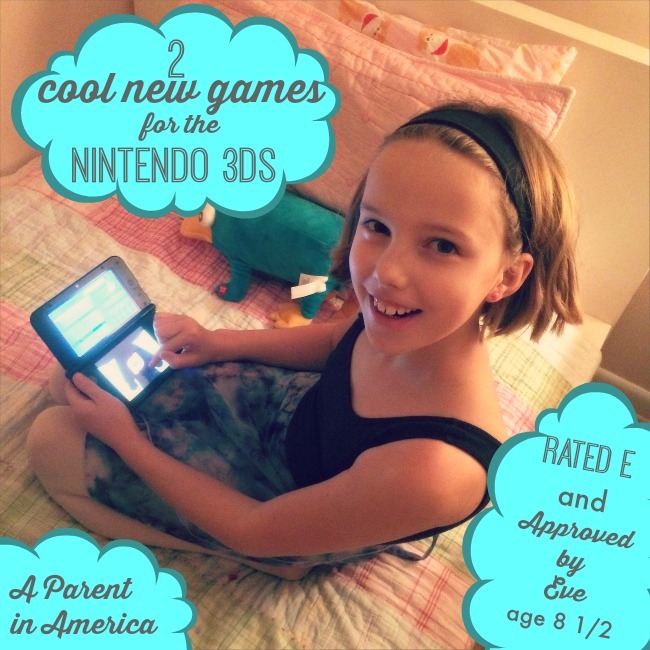 If your child does not play the game for awhile, the Miis survive just fine on their own. The game does not progress, but the characters’ health is fine. 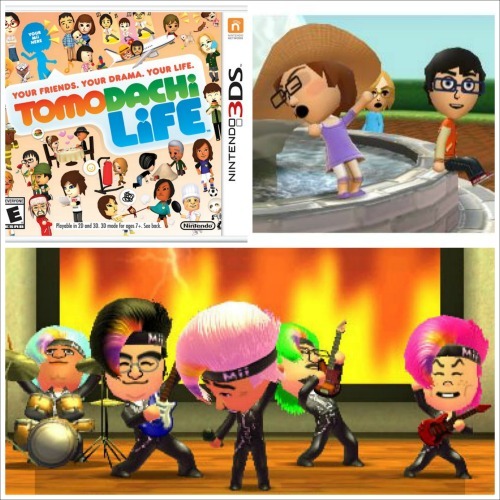 Tomodachi Life for Nintendo 3DS and 3DS XL is rate E for Everyone and retails for $35. Our family is brand new to the Animal Crossing series. 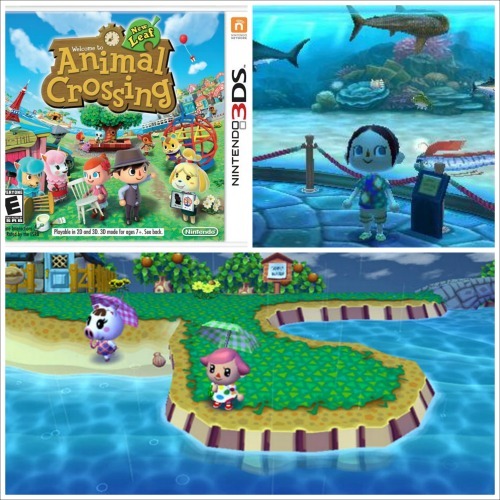 In the New Leaf 3DS version of this life simulation game, the player is the game’s protagonist and learns that he or she has unexpectedly been named Mayor of the interesting Animal Crossing world. Not only do you design your character, you also completely personalize the town. Two weeks in Eve is still building bridges and designing her palatial Mayor’s mansion. But as the game progresses she will be able to visit a nearby tropical island, play games within the game. The more the player builds in her town, the more new interesting animal residents move in and interact with the player. Like Tomodachi Life, the world breathes on when your child is not playing so that new items can be discovered when the child revisits. And like Tomodachi Life, there is no penalty given to the player for time spent away. Animal Crossing: New Leaf for Nintendo 3DS and 3DS XL is rated E for Everyone and retails for $30. I was selected for this opportunity as a member of Clever Girls and the content and opinions expressed here are all my own. 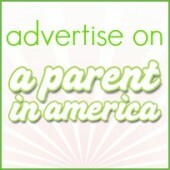 Affiliate codes are used.